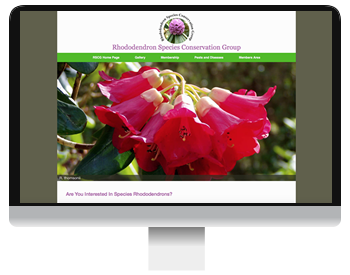 I am an experienced web designer and website developer based in Bearsden, Glasgow. 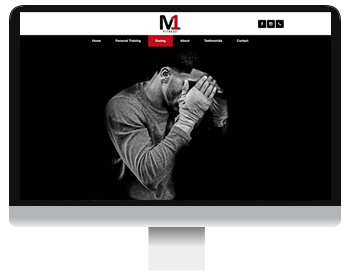 My web designs will reflect and enhance your business. 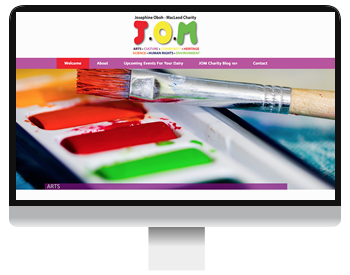 I enjoy developing websites for new start-ups, charities, individuals and established companies. 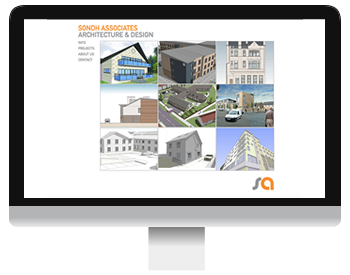 Click here to contact me today for a free website design quote. The colour scheme of the website is based on their new logo. The site is very fast loading and light. It was created using Adobe Comp, Dreamweaver and Photoshop. 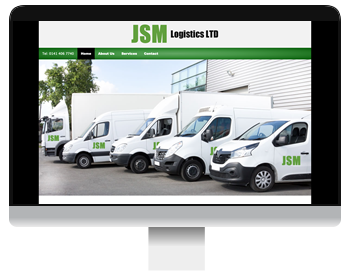 CSS3 gradient blending was utilised on the main navigation. 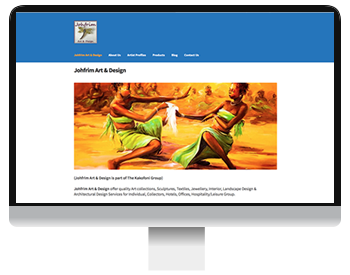 A Wordpress template was customised using CSS3. Wordpress gives my clients the ability to update the page content. 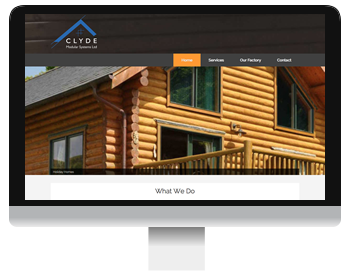 Clyde Modular Systems designs, fabricates and installs high quality modular building systems for both permanent and relocatable buildings. 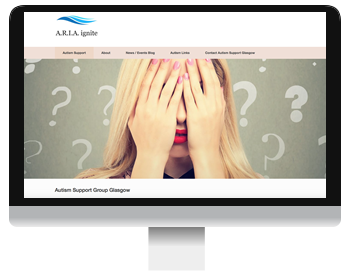 As an experienced Glasgow based web designer I try to stay ahead of the rest by working hard to prepare for what's next on the Internet horizon. 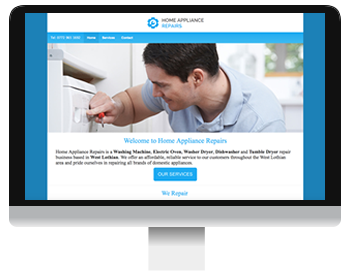 With a new website your company can really shine and gain new clients. Here is a sample of my client feedback! 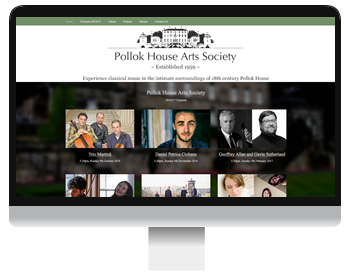 Your responsive website will look great on all devices including desktop, laptop, tablet and smartphone. I have recently re-evaluated my work practices to incorporate as many environmentally friendly techniques as possible. Scotland is now generating a majority of it's power from Renewables. 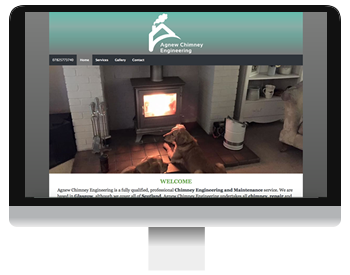 My blog contains many examples of the changes I have made as well highlighting web design , logo design and PC repair. 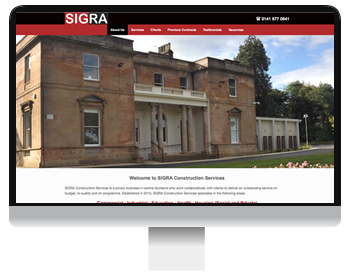 I offer all aspects of modern web design in Glasgow including Responsive Designs, HTML5, CSS3, Smartphone (including iPhone), Tablet PC (including iPad) and CMS (Content Management System). I will also provide SEO (Search Engine Optimisation) to help you get a good ranking on Google. Logo design is another popular service I provide for small business start-ups and organisations. I also offer a PC tune up service.